There’s nothing more beautiful than a healthy lush yard. 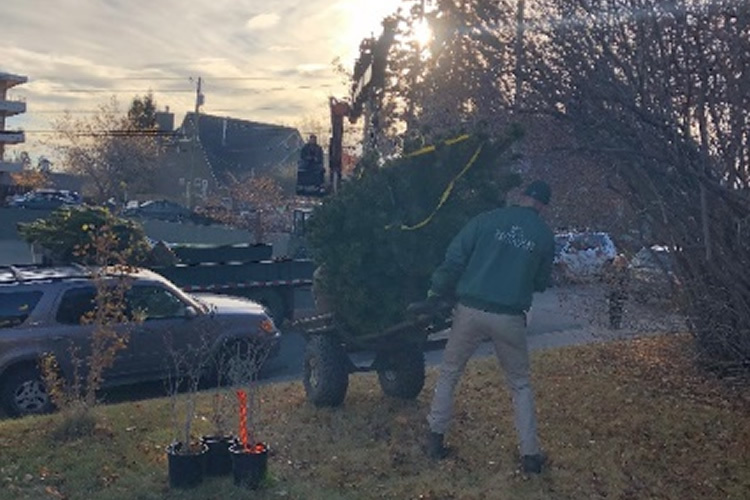 Full service tree delivery and planting is a great place to start. Any tree, any size. From nearly full grown 2.5m tall caliper trees (left), to smaller tree, hedge and shrub options we can help make your vision a reality. We’ll dig the holes, remove the soil and plant the trees. Just sit back as your yard comes to life!